We'll give you a solid grounding in the science of materials and show you how to apply your knowledge to problems in the real world. You'll learn how to tailor the structure, composition and processing of materials to meet design requirements. Our core degree can be kept general or you can choose to specialise by choosing options or one of our more focused courses. The course includes plenty of practical work, allowing you to get hands on experience of widely used processes and the latest in investigative equipment. In the first year, you'll take the Global Engineering Challenge. Working with students from other engineering courses, you'll have to find creative solutions to problems. The project looks at challenges faced by communities throughout the world. It's designed to develop you as a professional engineer and get you thinking about sustainable solutions. All MEng courses include a guaranteed five month paid industrial placement, which may be in the UK or abroad. This is a great way of getting additional experience and improving your CV. In the third and fourth year of the MEng degrees, you'll take part in four Industrial Training Programmes, focusing on the areas of nuclear, glass, aerospace and advanced manufacturing. For each, there are small group seminars with industry experts and engineers, academic lectures and visits to industry sites and technology centres. You'll apply your materials science and engineering knowledge to analyse and solve a real current industrial problem. Materials is an extremely important area of technology as any physical thing that is made has to be created from materials. Frequently the properties those materials can achieve are what controls the performance. Materials Scientists understand why materials have certain properties and research new materials with better performance to help produce and use these materials in real products, large and small. 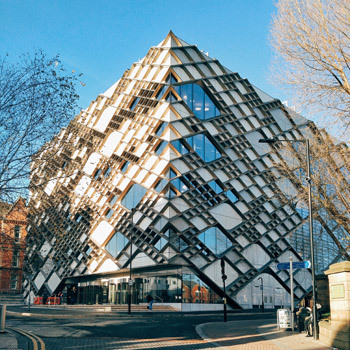 Sheffield has long been a centre of materials innovation, and with a history of research excellence that can be traced back 135 years, this department was one of the foundation stones of the University. We strive to give you a valuable and unforgettable university experience. 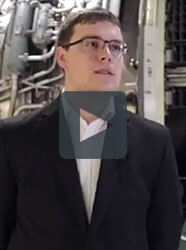 By accessing state-of-the-art multidisciplinary engineering laboratories, direct contact with industrial partners, and excellent learning resources, you will be given the opportunity and support to develop the skills you need to succeed at university and flourish in your career once you graduate. Taught in our brand new engineering building, The Diamond (pictured), you'll have access to our dedicated state-of-the-art materials laboratories, as well other cutting-edge multidisciplinary engineering laboratories including a clean room and biomaterials and light structure laboratories. Prospective employers recognise the value of our courses, and that students are fully equipped to apply their knowledge to industry and further research. Above all else they value graduates with specialist skills and personal experience. Our graduates work for organisations including Atkins, McLaren, Rolls-Royce and Airbus as materials ‭engineers, metallurgists, manufacturing engineers, and research scientists among many others. Over the past four years, more than 95 per cent of our graduates have secured employment or gone on to further study within six months of graduation. In the same period, the mean starting salary for a Sheffield materials graduate has been £26,400 (Destination of Leavers from Higher Education survey 2017). "Within the Industrial Training Programme 12-week challenge, we all work together for a common goal. At the end of the project, it's not just about the grade. You can use the experience in interviews to help you get a job." All our courses are fully accredited by the IOM3, meaning they count towards later professional registration as an Incorporated Engineer (IEng) or Chartered Engineer (CEng). It is possible to switch between many of our courses and between the BEng and MEng (based on performance on the exams in the course) up to the end of the second year.